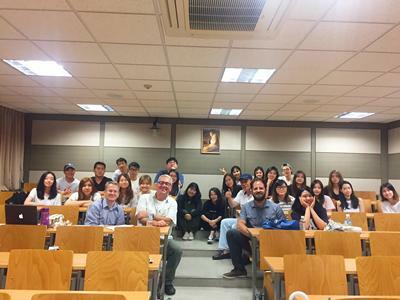 This summer Professor Tim Bergfelder and Dr Corey Schultz had the pleasure of teaching at the summer school at Dongguk University in Seoul, South Korea. 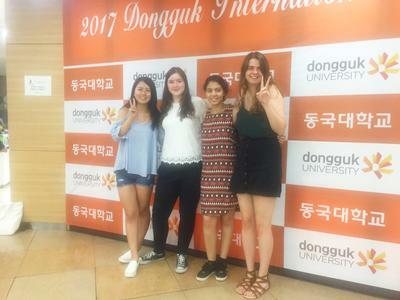 Contributing to the Comparative Studies of World Cinema course, the pair had a great time with this educational and cultural exchange. 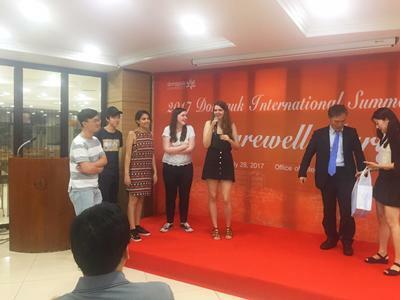 Some of our students were fortunate to also attend the summer school taking classes such as ‘Introduction to Korean Film’ and ‘Short Film Production Workshop’. They submitted a short film for contention at the film awards. We’re very pleased to say that their film won the audience award.